It's kind of superficial, no? I always feel like, when someone calls another woman's lover a "beau" (they never call their own lover one), it's derogatory, as if there's nothing about this guy but his good looks. He's fun to hang out with for a while, but there's no long-term plan, no possibility of a long-lasting relationship. Yes, I think so. I had to think long and hard about this and whether or not I thought Bertie Wooster could be rightly described as a 'beau' because, as I said, he is an exceedingly nice and good-natured chap. However, a lot of his engagements are superficial and his friends (or backfriends) often try and take advantage of his magnanimity. Some of his girlfriends, even after it's become clear that their engagement was all a big misunderstanding, even hold him in a kind of reserve position - someone to marry if their present relationship falls through. I could therefore well imagine him being described as someone's 'beau'. Now I'm wondering how an engagement can be a misunderstanding... "Oh, you wanted to know if I wanted pizza? I thought you asked if I wanted to marry you!" Bibi: you *must* read some Jeeves and Wooster. They're some of the funniest stories I've ever read. I mean that - simply genius. 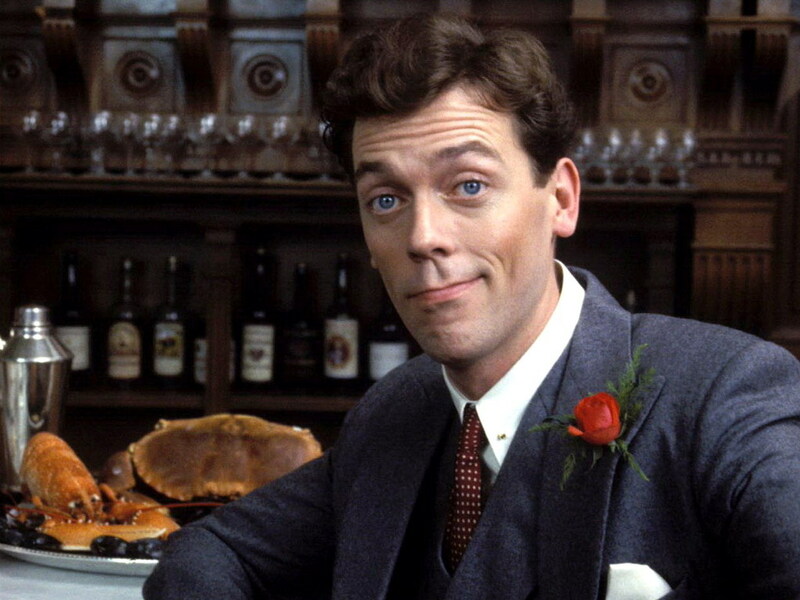 People wouldn't take Bertie Wooster so lightly if Hugh Laurie said those lines in the gruff Dr. House voice he lifted from Keith Carradine. They'd think he was being bitingly sarcastic. Actually that might be pretty funny. It's funny because his character is supposedly a bit dim, certainly in comparison to Jeeves. However, as Bertie is the narrator in all the stories and the stories are told in the most clever and colourful language, he must be (linguistically at least) very smart. So yes ... he would be master of the biting sarcasm if so wanted. A fop? A dandy? You are a beau, Dillon; you know you are. "I'm sure there's a vast many smart beaux in Exeter; but you know, how could I tell what smart beaux there might be about Norland; and I was only afraid the Miss Dashwoods might find it dull at Barton, if they had not so many as they used to have. But perhaps you young ladies may not care about the beaux, and had as lief be without them as with them. For my part, I think they are vastly agreeable, provided they dress smart and behave civil. But I can't bear to see them dirty and nasty. Now there's Mr. Rose at Exeter, a prodigious smart young man, quite a beau, clerk to Mr. Simpson, you know, and yet if you do but meet him of a morning, he is not fit to be seen.— I suppose your brother was quite a beau, Miss Dashwood, before he married, as he was so rich?" I must say, as a Canadian, I find the way you express yourself fascinating and fun! Not only am I educated, but entertained as well! I can't say I have ever heard "bally hang" or "waffling" before! I may have to try to start a trend here haha. 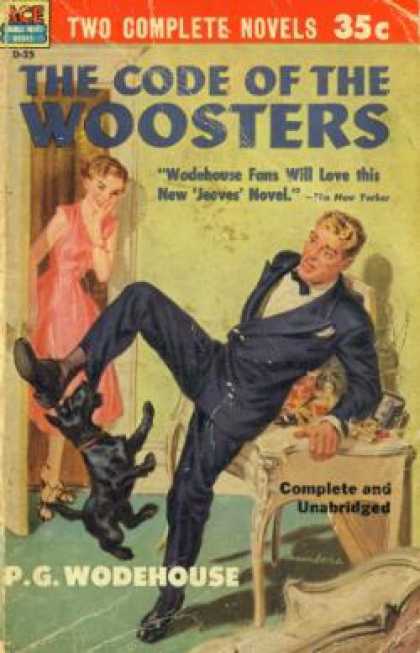 Thank you Kara, although I was trying to write in the styles of a Jeeves and Wooster story - I don't talk like that IRL, of course. Oh, well actually - I would say waffle. And I love crumpets. And I do say chap. Oh dear. I'm a living stereotype!